Our lives are filled with stories! I'd like to share mine. 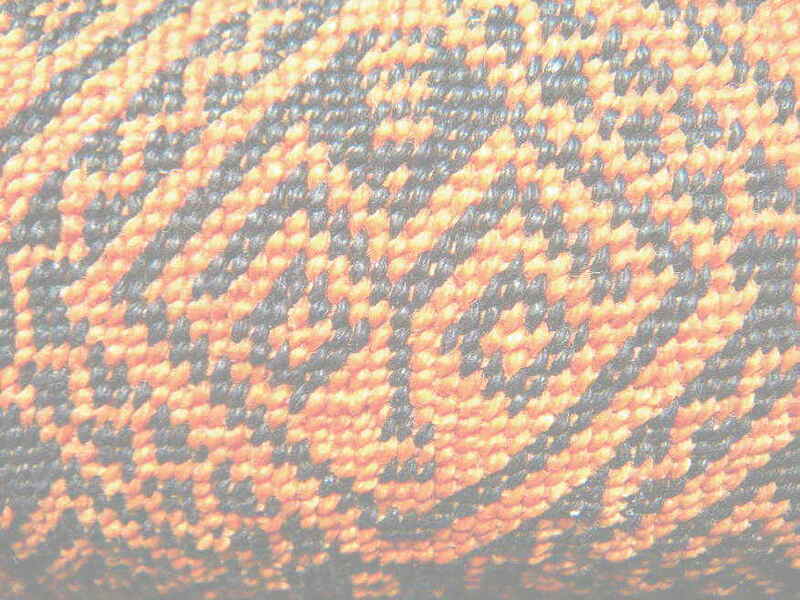 I hope it gives you some ideas about how you can weave your own life into the stories you write. 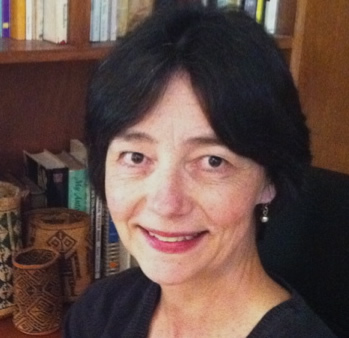 I taught beginning and experienced teachers at Seattle University, wrote books for teachers about literature circles, and now write for children. But, of course, that's not where my story begins. My dad was a forester with the Bureau of Indian Affairs. As newlyweds, he and my mother moved from Iowa because they wanted to live in the west. They had no idea then that they would spend the rest of their lives living among and working with Indian people on or near the Colville, Warm Springs, and Yakama Reservations in Washington and Oregon. Dad's first job with the Bureau was on the Colville Reservation in north central Washington State. I was born in the hospital in Coulee Dam -- right next to Grand Coulee Dam. 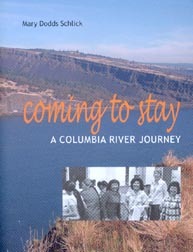 We lived on the Colville Indian Agency nearby until I was four years old. 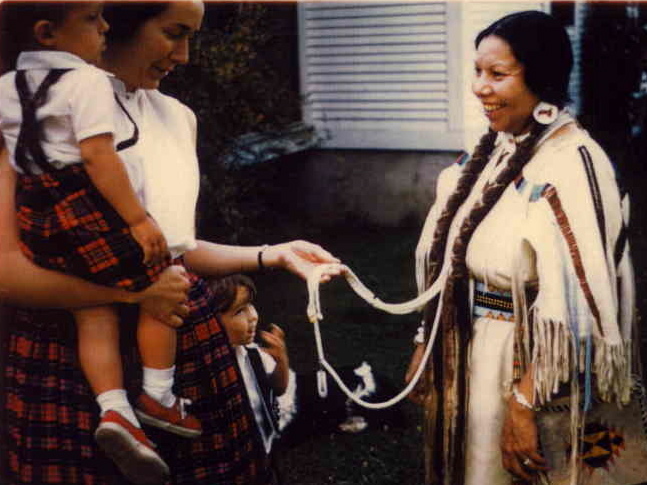 In the photo to the left, I'm standing behind my mother and younger brother as we're visiting with our neighbor, Mrs. Ann Kamiakin George during the tribe's 4th of July celebration. Mrs. George's grandfather, Chief Kamiakin, was one of the principal signers of the Yakama treaty of 1855. 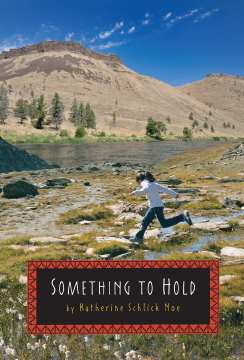 If you read Something to Hold, you'll meet characters that are a lot like Mom and Joe (and my whole family!). My dad's job took us east, where he worked at the US Department of the Interior in Washington, DC. We lived nearby in Alexandria, Virginia twice -- the first time when I started kindergarten and later during junior high and high school. 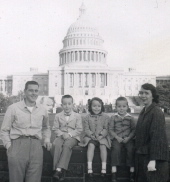 Here's the whole family in front of the US Capitol: My dad, Bud; older brother Bill; me next to Joe; and Mom keeping us in line. We were at the Capitol another time when President Eisenhower drove right past us, and he waved at me (at least, that's how I remember it). Kitty's dad in Something to Hold has a lot in common with my dad. So does her older brother with my brother, Bill. Do you see a pattern? We moved just about every four years until I graduated from high school. 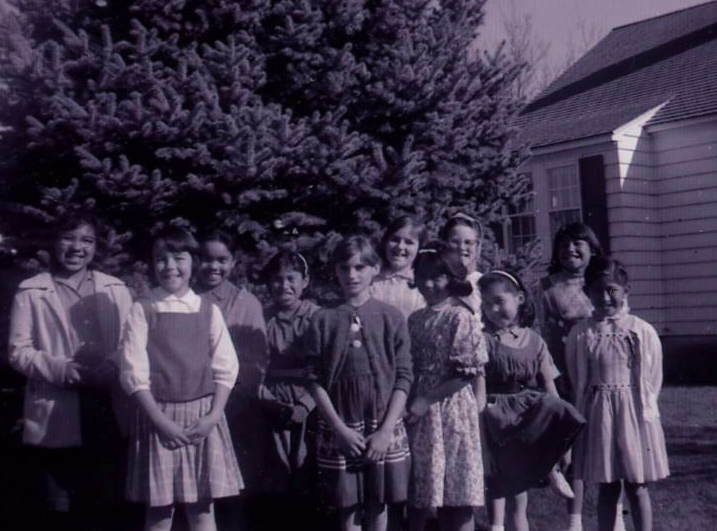 We arrived on the Warm Springs Reservation when I was in the middle of second grade and left again in the middle of sixth. Here is my 4-H club, the Cascade Cooks. My mom was the leader of 4-H clubs for all three of us kids: Bill in the Cascade Chefs (even though he was the only boy!) and Joe in the World's Greatest Chefs. See the girl third from the right? That's my friend Pinky, who is still my friend today! In Something to Hold, the character of Pinky is a lot like my real friend -- generous, friendly, and brave. We're standing in front of my house, which was the model for Kitty's house in the story. Behind Pinky is the kitchen window where Kitty watches Raymond and Jewel walk home from school. Unlike Kitty in the book, I always felt welcomed, included, and accepted at Warm Springs. But I drew on events in my own life for Kitty's story. If you read Something to Hold, can you figure out what's real and what's made up? It was here that I started writing. I wrote stories, plays (directing the neighborhood kids), and an entry in a health essay contest, famous in my family for this line: "Never put your fingers into your mouth, because you don't know where they've been!" I won $10! My mother tells the true story of our family's life in her memoir.